It is always an annual occurrence that a vehicle owned by Chuck and Linda Barker makes it onto the cover of our catalog. 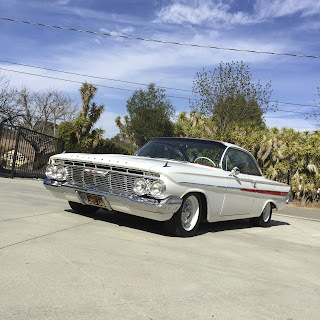 They own a nice group of custom cars and they seemingly add a new one to the family each year. 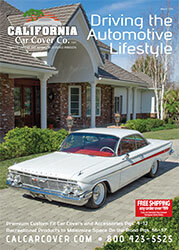 We were happy that they wanted to participate in our spring car care guide. 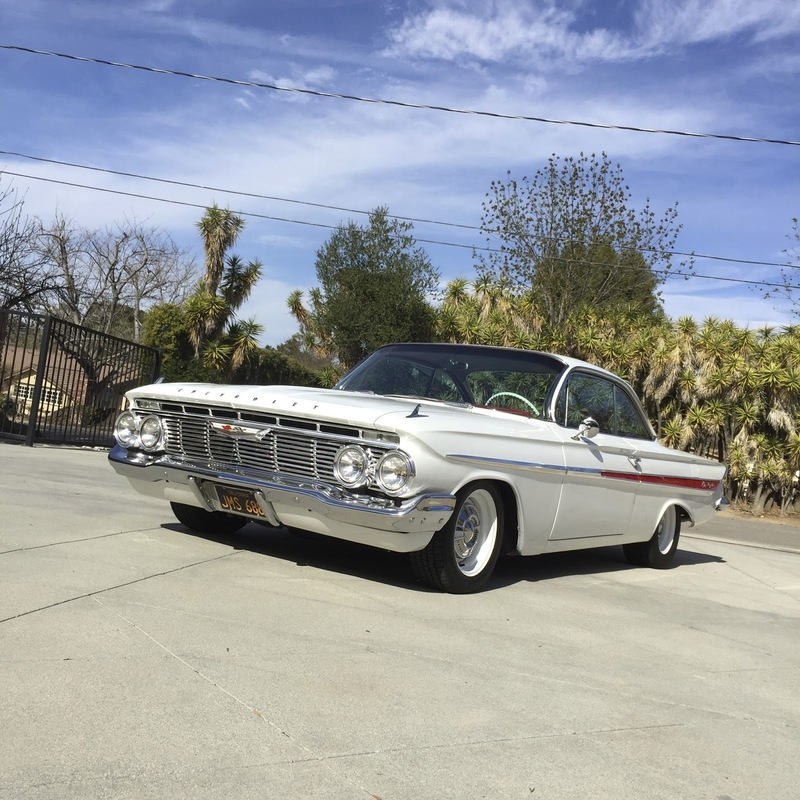 This 1961 Chevrolet Impala was meant to be driven. You will likely see the Barkers' on the road this summer at a number of classic car shows around the country. Winner of the 2016 AMBR Trophy. 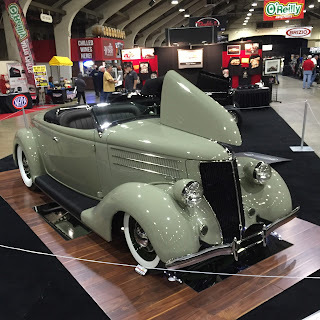 The Grand National Roadster Show kicks off the major car show season for the new year. 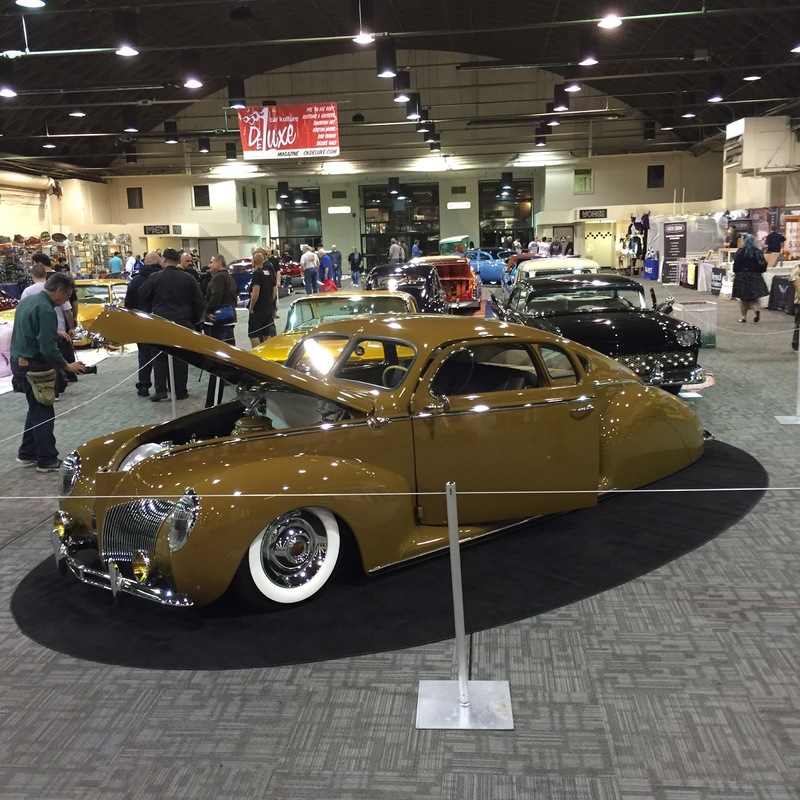 The 2016 GNRS featured 100's of classics and customs on display at the Pomona Fairplex. 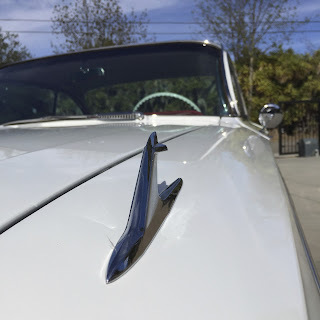 The car show attracts some of the finest creations to Southern California. The top prize of the weekend is the presentation of the annual America's Most Beautiful Roadster award, which was won by Terri and Darryl Hollenbeck. The California Car Cover Crew was in town for the weekend as usual to enjoy the festivities and talk car care with our friends and colleagues. Our friends at Hollywood Hot Rods brought out a pair of roadsters to compete for the AMBR. There is always one hall at the GNRS dedicated to speed and it always features a great group of land speed cars from Bonneville and El Mirage. Thank you to everyone who stopped by the California Car Cover booth and said hello during the Grand National Roadster Show. The weather wasn't great all weekend, but we had a good time seeing some friends out at the Fairplex.